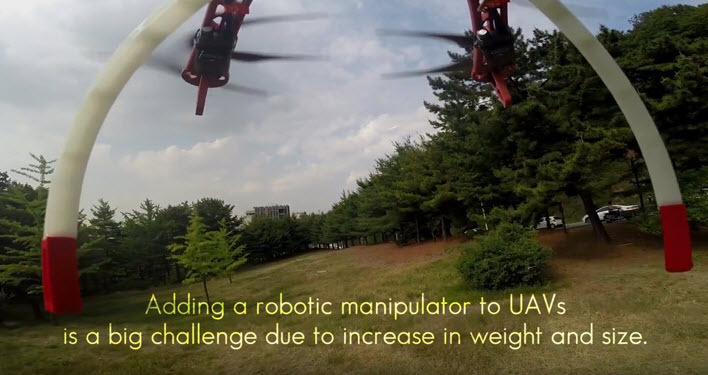 Inspired by the origami, the researchers have designed a flat, foldable, light-weighted, but highly stiff robotic arm that can be attached to UAVs. 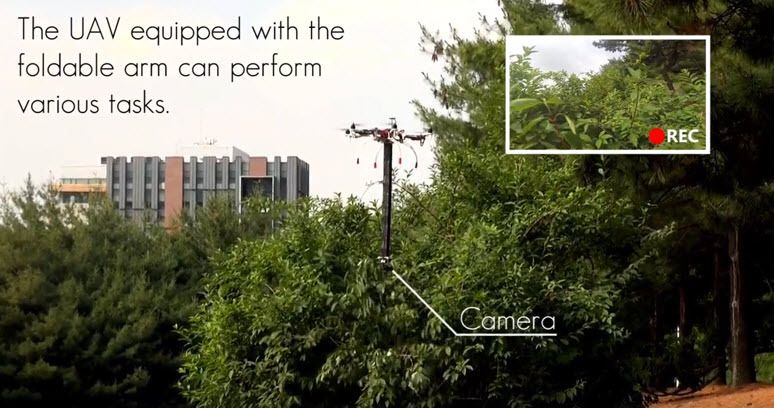 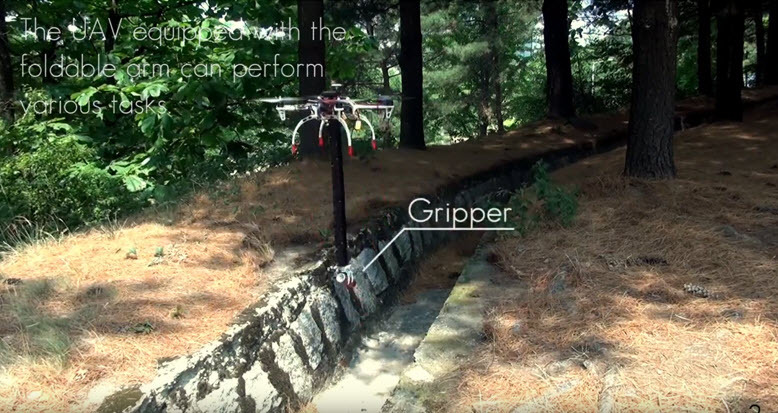 The foldable arm attached to UAV can perform various tasks: taking videos between branches and gripping object under the ditch. 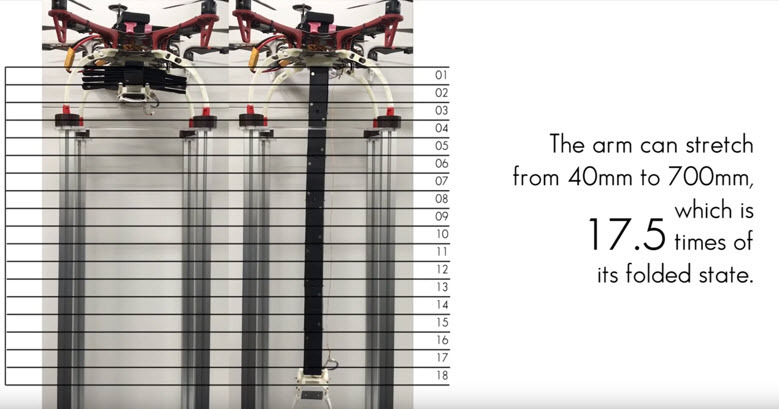 The arm is strong enough to be able to stretch from 40 mm to 700 mm. 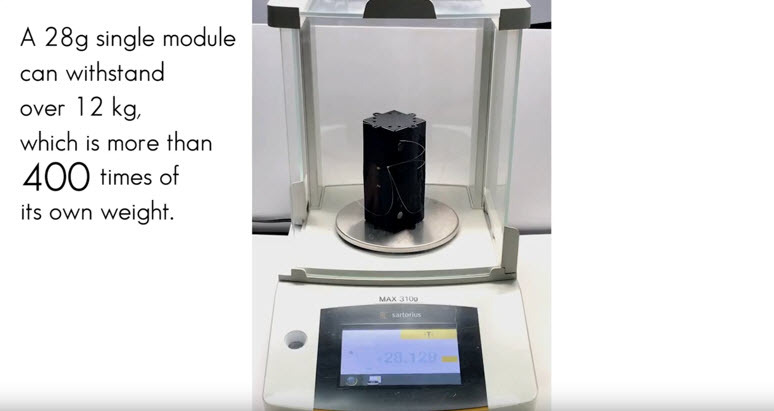 A single module of 28 g can withstand over 12 kg, which is more than 400 times of its own weight. 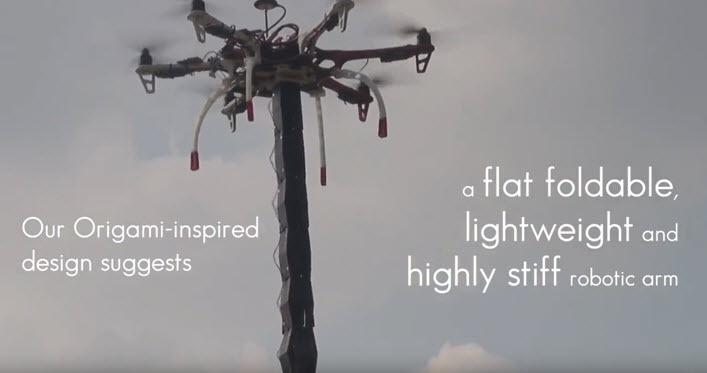 The origami-inspired design makes it possible to create light-weighted, highly rigid, and self-assembling structures. 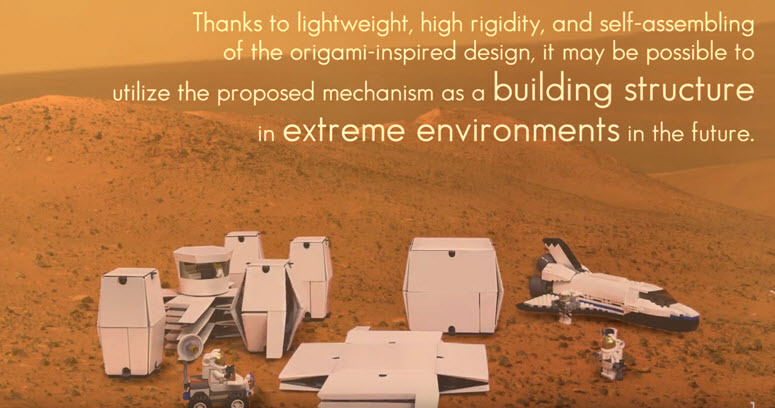 It might be possible in the future to create building structures for extreme environment with this origami-inspired design. 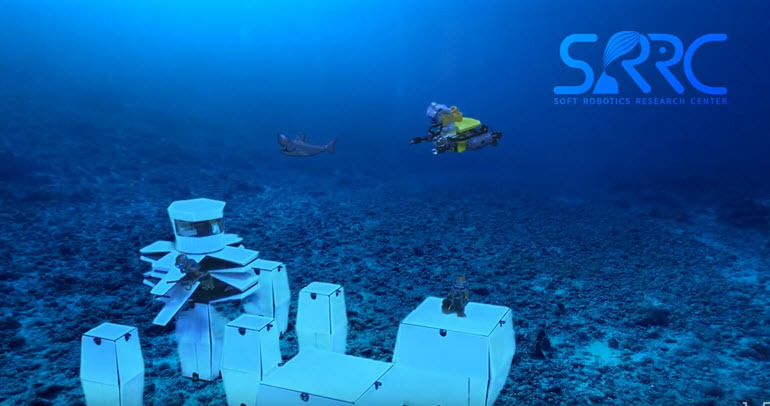 * This is the summary of introduction video of ‘An origami-inspired, self-locking robotic arm that can be folded flat’ that was published in the journal Science Robotics on March 14, 2018.